Spring Mountain looms over the Napa Valley town of St Helena. Highway 29 runs through the town, or more accurately crawls through it. The traffic on the highway is always heavy, but a left turn takes you to a narrow lightly used road that winds up the hill-side past small vineyards whose focus is on wine and tourism. California Girl comments: The vistas from Spring Mountain AVA are something to behold. The entire of Napa Valley sits below it. Driving through it is a kind of fun exercise as you drive through a forest of trees. You can’t believe you are in wine country. 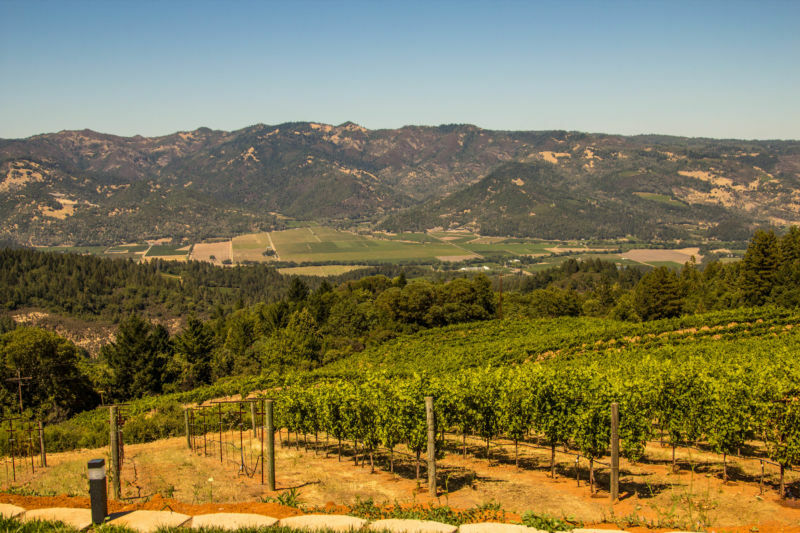 It just shows you exactly how diverse all of the climates and areas there are in Napa. 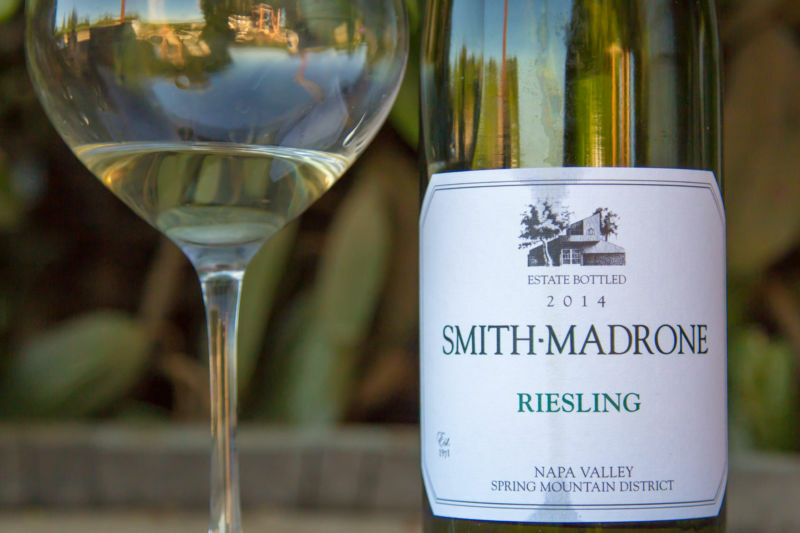 California Girl and I wrote about our memorable visit to Smith-Madrone, one of several family owned vineyards on Spring Mountain that date back to the seventies. When we learned of an event showcasing Spring Mountain we knew that we had to attend, even though it was the day after California Girl’s return from her Grand Tour of Europe. 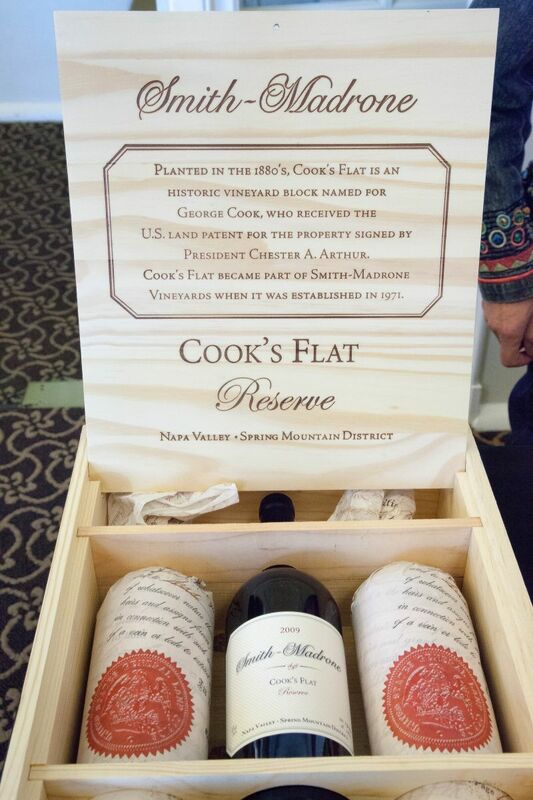 The Spring Mountain District Harvest Celebration happened in the Presidio Golden Gate Club; with nineteen of the wineries from that AVA. California Girl comments: I was on one of those energy kicks one gets right before the jet lag hits, so I was fine through the entire event. The minute I hit the ferry to go home though I conked out. The event was well-organized in a venue that offered great views of the bay and Golden Gate bridge; not that we had much opportunity to focus on the vista as the various wines were more than a little distracting. California Girl and I are, as regular readers will now, hard-working bloggers, but even our dedication could not allow us to try all the wineries. Part of the reason for attending was to taste wine from vineyards that require reservations and are on the way to other destinations. From that perspective, the event was a success; there were several wines that we enjoyed so much, that we will wish to visit and with them up in detail. 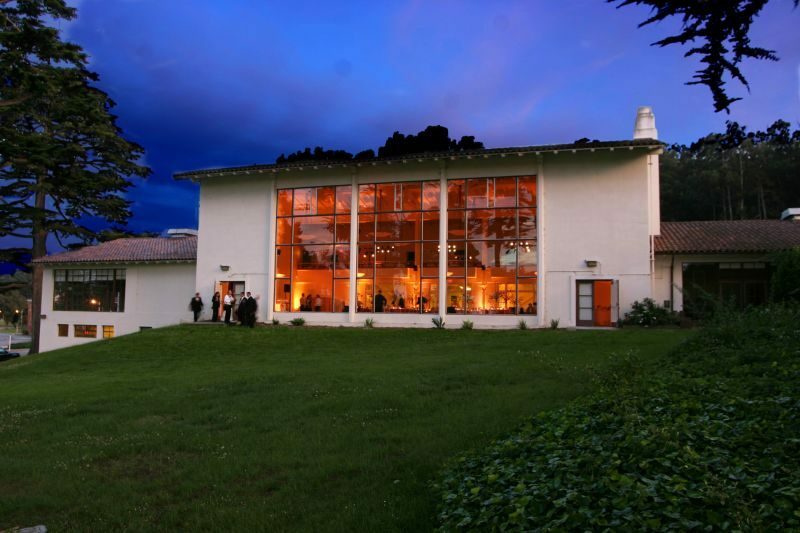 California Girl comments: Yes, it is really hard drinking amazing wine and eating wonderful food in amazing venues. I am sure that all of our readers feel sorry for us. One of the stand out wines that we tried was the Paloma Vineyard. This is a one man operation, with Sheldon Richards owning the property, making the wine, and handling the sales. The 2010 Merlot offered a deeply alluring nose of plum and tobacco. The taste was red currant, black tea, and a long mouth of mixed fruit. This was an exceptional wine, especially given the $54 retail price. California Girl comments: I really enjoyed this wine. The Merlot had so much flavor. This was a great all arounder that could be consumed with just about anything. I would highly recommend this one. At $54, it may seem a little high as far as price, but the quality is there to be a good value. 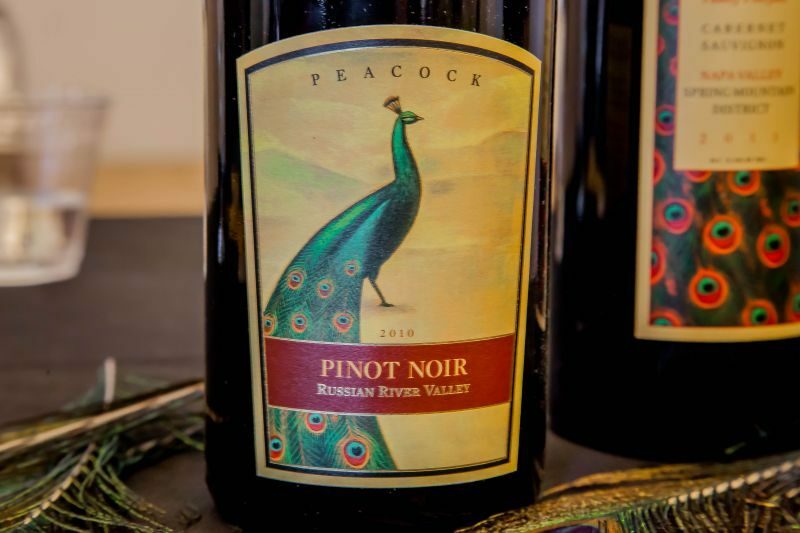 The Peacock Family Vineyard had a beautiful table with feathers of the eponymous bird. 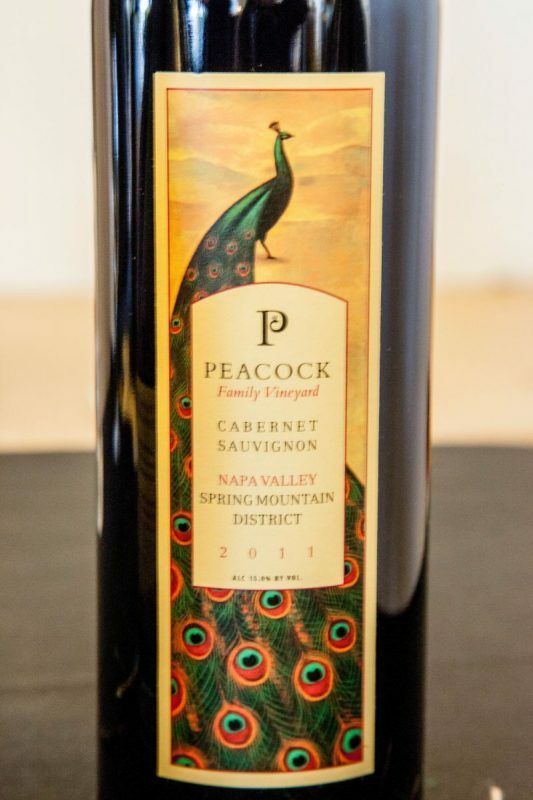 Their 2011 Cabernet Sauvignon had a subtle nose of raspberry plum, and candied orange. 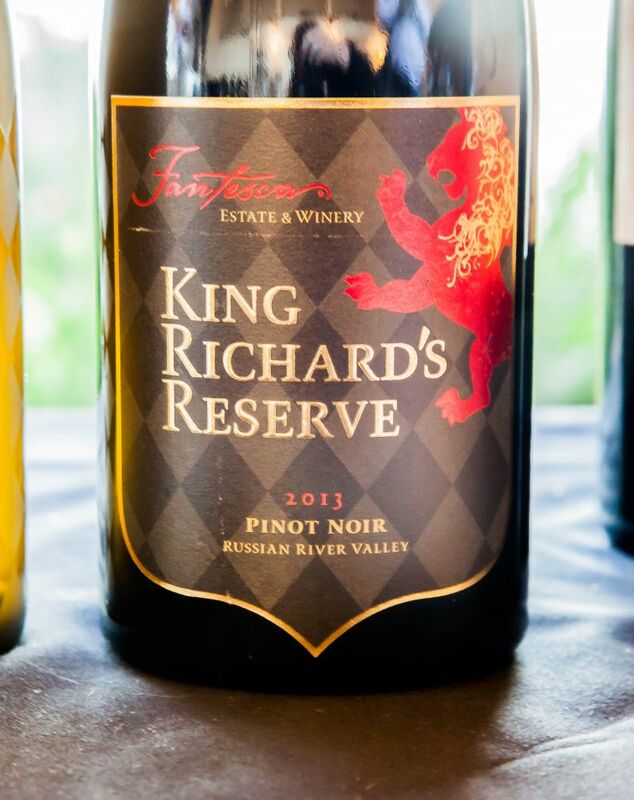 The flavour had rich, complex fruits, which were well-integrated with the tannins. The hosts were the vintner: Rebecca Peacock Fogg and Matt Trulio whose title in the event’s program was “The Boyfriend”. California Girl comments: This couple were so funny and cute. I really enjoyed our few minutes with them. They were obviously as passionate about the wine as they are about each other and I really liked their vibe. The wine was wonderful. I’d love the opportunity to visit with them and really learn about their wines. 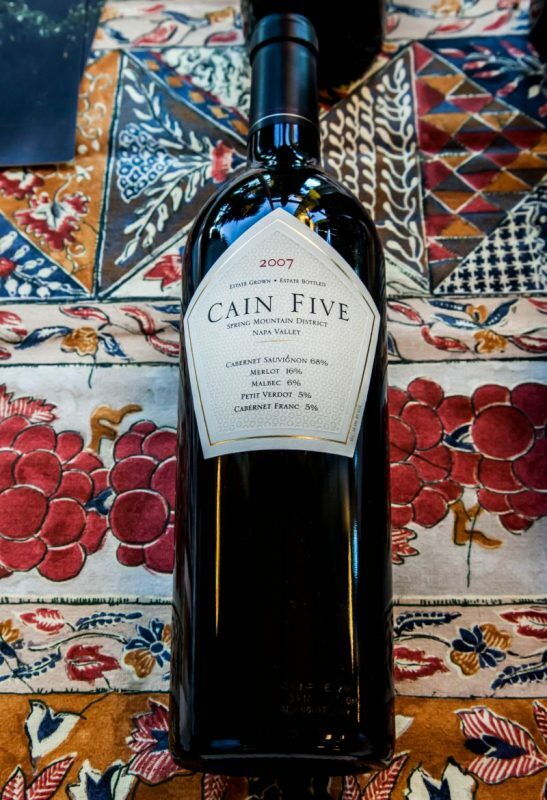 The Cain Vineyard had a very striking label for their signature Cain Five blend; a pentagon, which as with the name honours the five noble Bordeaux grapes used in the wine. The first wine we sampled was the 2007, a wine whose complexity and quality are reflected in the $160 asking price. The nose was of plum and damp autumnal leaves. The taste was a subtle mix of dark fruits with velvety soft tannins. The 2012 showed a promise which the 2007 implies will be delivered. There was a nose of rotting timber that was more prominent than the fruit. The flavour was of raspberry and minerality. California Girl comments: Weirdly, I had met a guy in the Houston airport that suggested Cain to me. I could see why after tasting the wines. 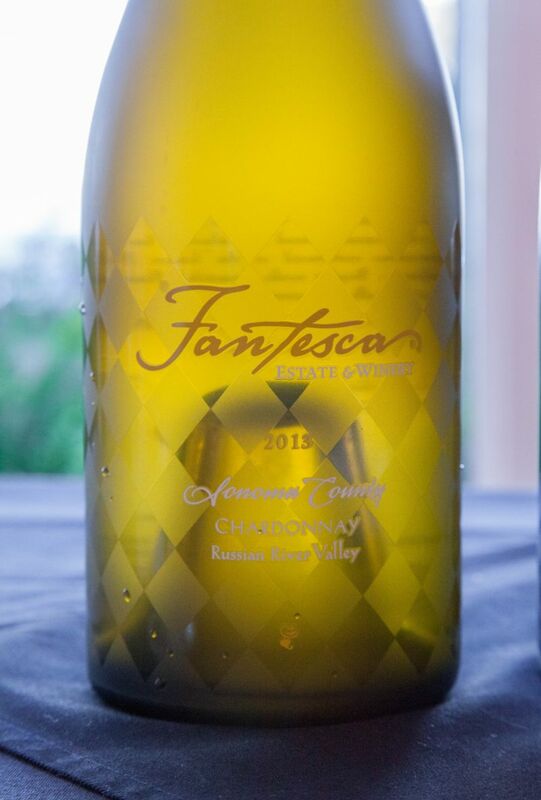 We were excited to try wine from Fantesca, as we have friends in the UK who know the owners and have told us about their wines over the years. The 2011 All Great Things is a Cabernet Sauvignon blend with some Petit Verdot and Cab Franc. It sells for $150. The nose was long with plum notes. The rich flavour that lingered long in the mouth was a mix of plum and raspberry. California Girl comments: Fantesca was one of my favorites of the day. It doesn’t surprise me though as our friend who has told us about them for years has a very fine palate and a Masters Degree in wine. I would really love the chance to experience more of their wines as I loved what I tasted. 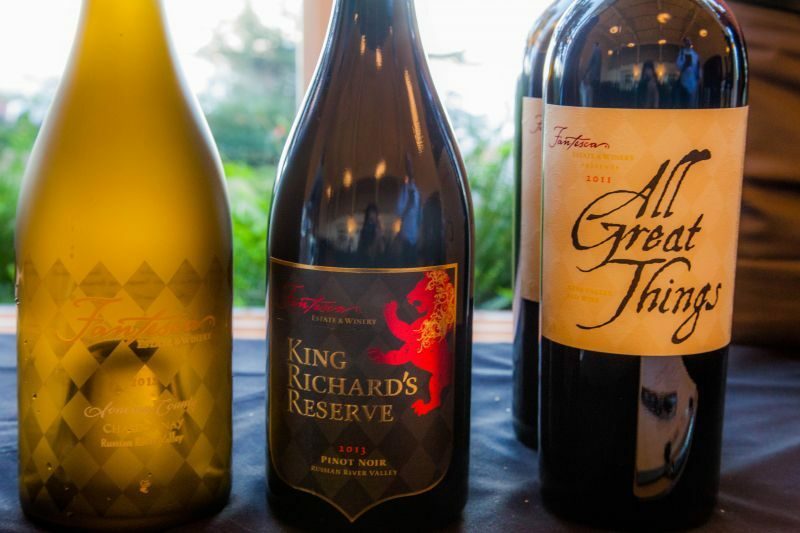 Wine tastes better with a great setting and the right company; there had been a nagging worry that the charming company of Charles and Stuart Smith had enhanced the experience at Smith-Madrone. This was a false worry; despite some great wines, there was no doubt that our love of their wines was grounded in empirical understanding of their quality. California Girl was bubbly with joy at their Chardonnay, even before she saw the notes included a quote from her impressions on our first taste. California Girl comments: What more could I say about Smith-Madrone other than I have a deep love for everything they do. I loved their wines just as much as I did tasting them the first time. Both their Riesling and their Chardonnay are truly memorable. We need to stock up on both. None of the wineries whose product we tried were bad, but one stood out above all but the aforementioned Smith-Madrone. California Girl and I loved Barnett Vineyards; there is definitely a trip to see them in our future. Their Merlot is one of those wines that show how foolish is that quote in Sideways. The nose was a rich mélange of plum and blackberry; I took my time enjoying the smell, delaying the first taste in case it did not live up to the olfactory experience. I need not have worried. The taste lived up to the smell, with a rich jammy flavour with plum to the front. The 2014 Barnett Vineyards Cabernet Sauvignon also had a deep rich nose of mixed red fruits. Given its youth, the tannins were surprisingly muted and raspberry was to the fore. 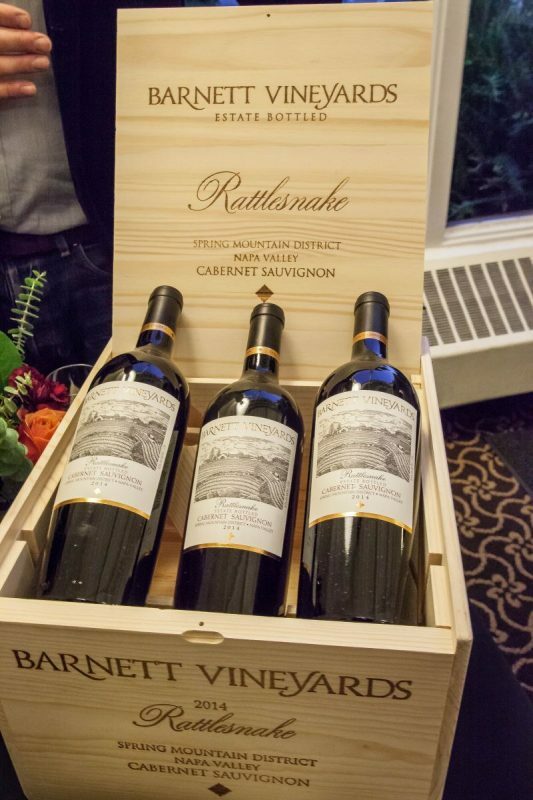 The third and best of the wines was Rattlesnake Cabernet Sauvignon, which sells for $175. The nose was a spicy mix of dark fruit. The taste was slightly sweet with plum, blackcurrant, and spice. California Girl comments: I did love Barnett Vineyards but for me they were equally tied with Fantesca. I felt that both wineries were truly outstanding in what we sampled. California Girl comments: The AVA of Spring Mountain seems to have many outstanding wineries and vineyards and they are much less commercial than their valley floor counterparts. It’s a lovely drive and the wines are well worth the trek up the small mountain.